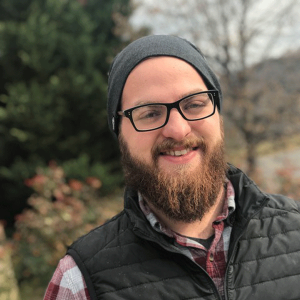 Dylan started at River Ridge in of 2017 as the Director of Student Ministries. He oversees both Middle School and High School ministries. Dylan is passionate about encouraging others to live a simpler life and leverage all things for the sake of the gospel. Dylan and his wife, Elizabeth, felt led to serve at River Ridge because of the grace they see and feel in church. They are excited to be a part of a mission minded Church. Dylan grew up in the Elkview and attended Capital High School. He graduated from Liberty University with a BS in Religion and minors in biblical studies and Christian counseling. In Dylan’s spare time, he can be found drinking fancy coffee, listening to podcasts, cooking and spending time with friends and family.